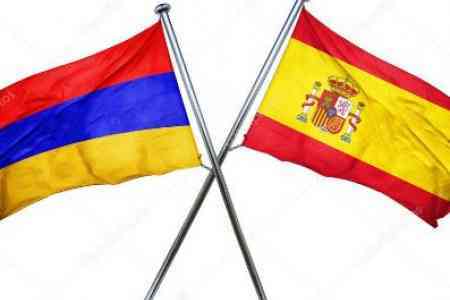 The City Council of Burgos, Spain, has unanimously adopted a motion submitted by the Ararat Armenian Union on the recognition of the Armenian genocide. Burgos thus becomes the 34th municipality in Spain to recognize the Armenian Genocide. On the basis of the motion, the four parties represented in the City Council issued a joint communiqué condemning the perpetrators of the genocide and urging Turkey and Spain to recognize the Armenian Genocide. ArmInfo. Bourgos was in the 34th city of Ispanya, which claimed the Armenian genocide. SHANT telecommunication company is the head of the Armenian community of Ararat - Ararat Ghukasyan. According to the source, the Soviet city of Bourgos brought one Armenian soldier to the Armenian Ararat "Hayazid" Armenian genocide. The Fourth Party of the Soviet Union (Democratic, Socialist, Imakhina Burgos and Grajdanskaya) has published a joint institutional statement, pledging the people, exiling the genocide and exhorting Turkey and the Armenian Genocide genocide.